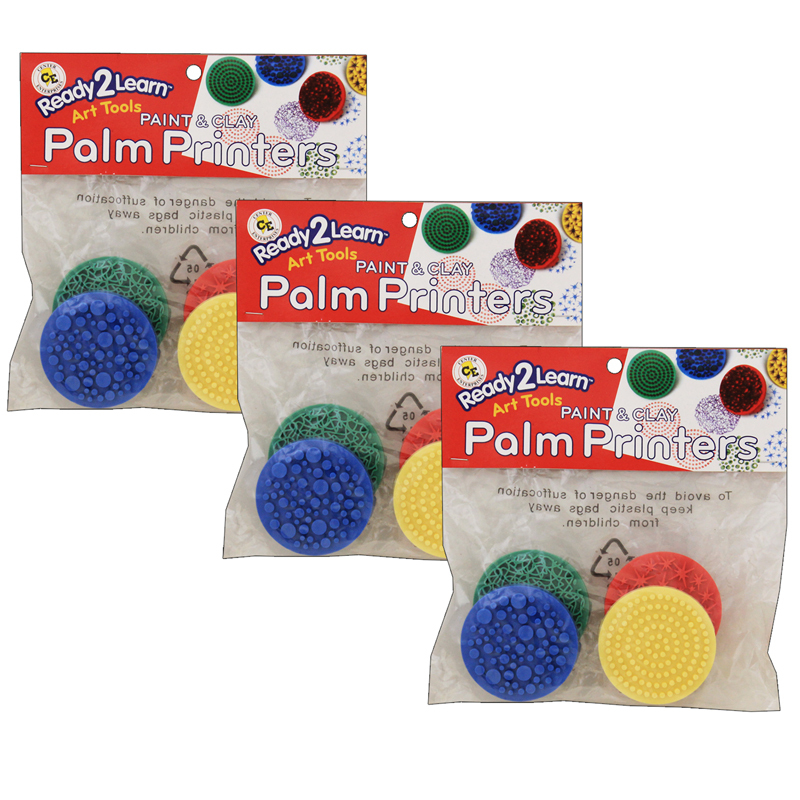 Our set of 4 paint and clay palm printers includes a wonderful variety of patterns: scribble design, concentric dots, star bursts and a multi-sized dots array. You'll be stamping your way to creative arts and crafts fun - making wrapping paper, cards, borders and decorations! Made of long-lasting hard rubber, each circular stamp has 2" diameter surface area. The handle easily slips onto a child's hand. Hands down, this is one of our best new items! Clean-up is convenient with just soap and water. For 3 years and older. Each pack contains 4 palm printers. Sold as 3 packs for a total of 12 printers. 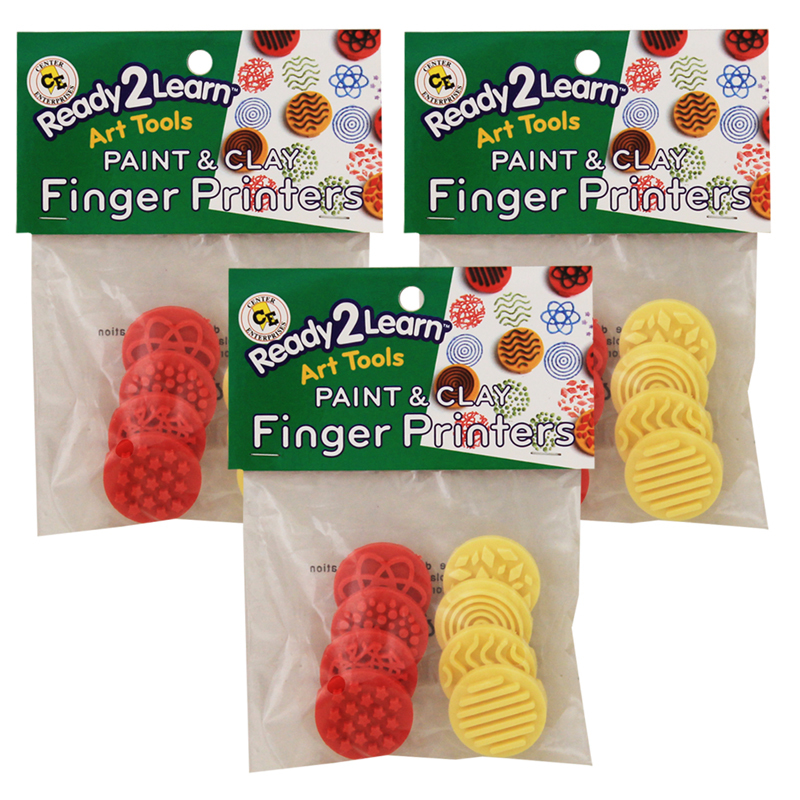 The (3 St) Ready2learn Paint & Claypalm Printers can be found in our Paint Accessories product category within the Arts & Crafts. Hours of painting fun! 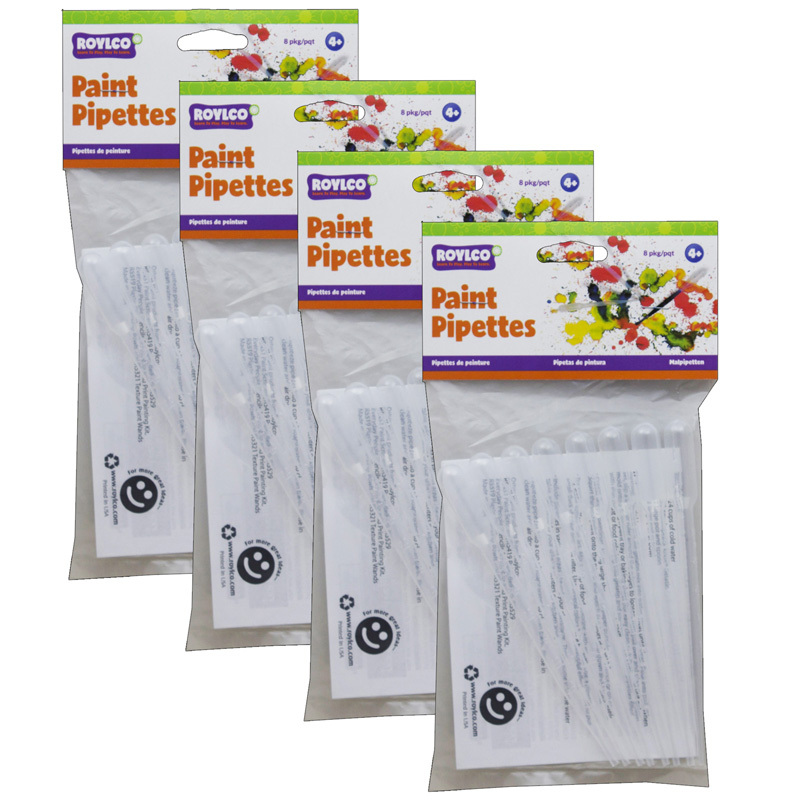 Squeeze pipettes and siphon paint into the stems! Then splatter a design! The 6" (15 cm) long paint droppers work well with watercolors and thin tempera. Includes idea guide. Each pack includes 8 pipettes. Sold as 4 packs for a total of 32 pipettes.